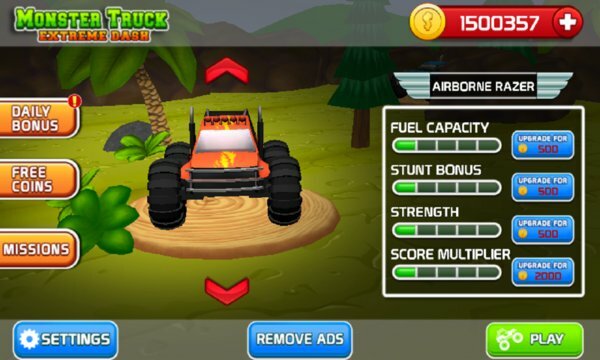 From the makers of popular top games like BasketBall 3D, Tennis Pro 3D, Parking 3D and Real Highway Car Racing comes yet another entertaining game is Monster Truck Extreme Dash! Drive different monster trucks including the legendary Bigfoot through drag races that test your handling and freestyle races where destruction and stunts with the crowds. 60 missions to accomplish. 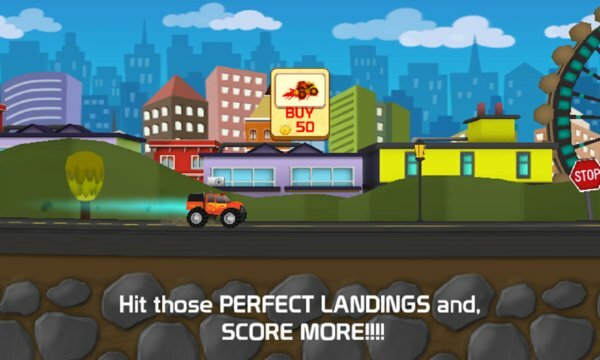 Get a hang of truck physics and create a rage havoc by bouncing, drifting. Smash through car, create a mayhem. Spin your wheels in competitive Drag races or send your ride leaping off jumps and smashing into other cars in Freestyle mode. If you reach this line, send us a mail on contact@dumadu.com and we'll give you free currency!